Some people are very cross about this book. Some of them don't think that the unpublished notes of dead authors should ever see the light of day. Some of them think that literary estates should make posthumous material available for free (and that editors and printers should chip in their time gratis). Quite a lot of people think that Tolkien's history's of the First and Second Ages are just incoherent doodling without any kind of literary value. 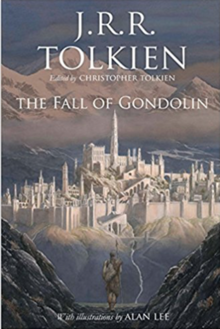 Some even believe that The Fall of Gondolin is a Brian Herbert style continuation of Tolkien that Christopher Tolkien is passing off as his own work. (I got sworn at quite loudly on Facebook when I pointed out this wasn't the case.) And the mainstream press have completely ignored it. Assuming you are not one of those people, what is the book about? Way, way back many ages ago, not long after the Silmarillion began, an Elf named Turgon discovered a Secret Valley, and decided that this would be an absolutely spiffing place to construct a Hidden City. He named it Gondolin, the hidden rock. Many years later, a pair of humans, Huor and Hurin were taken to Gondolin by The Eagles (it's always The Eagles) on condition they swore to keep the location of the Hidden City hidden. Hurin became the father of the spectacularly ill-fated Turin. Huor's son, on the other hand, is called Tuor and he is the subject of the present book. Turin son of Hurin, Tuor son of Huor, Andrew son of Mandrew. I don't know if there is any reason behind all these rhyming names. The Dwarves in the Hobbit went in for it in a big way. although Tolkien blames that on the translator. Ulmo, the God of the Sea, tells Tuor Son of Huor to go to the Hidden City and warn Turgon Son of Fingolfin that he needs to throw open the gates of the Gondolin and attack Morgoth the Dark Lord. After a very great deal of waffle, Tuor delivers the message, but Turgon has absolutely no intention of de-cloking his city. The trip isn't entirely wasted because Tuor falls in love with Turgon's daughter, Idril, and eventually marries her. If it is 1917 and Beren is still elvish, then this is the first time human and elf have ever intermarried. If it is after 1920 and Beren is a human, then it's the second time. If you don't know who the third interracial pair were then you probably aren't going to enjoy the rest of this essay very much. Due to some treachery we probably don't need to go into, Morgoth the Dark Lord finds out where the city is and attacks it with dragons and balrogs and orcs (oh my!). After much derring do, the city is wiped out. However, Tuor and Idril's son Eärendil is smuggled out of the city. Eärendil, you will recall, was a mariner who tarried in Arvernien and built a boat of timber felled in Nimbrethil to journey in. The whole of Tolkien's vast story world--his legendarium, if you absolutely insist -- was dreamt up in order to provide a context for the story of Eärendil. Because of his mixed parentage, he is Elvish down to his waist, but his legs are human. [Check this. Ed. ]This makes it his job to sail to Valinor, the Undying Lands and ask the High Elves and the Gods to come back to Middle-earth and defeat Morgoth once and for all. Eärendil may be an Anglo-Saxon name for the planet Venus; and some Anglo-Saxon poets may have thought that Venus represented Jesus Christ. The Very Early Tolkien thought that he was at some level recovering lost mythic material that was inferable only from linguistic hints; that he wasn't making up a story about Eärendil, but rediscovering it. Eärendil is quite a major background figure in Lord of the Rings: he was the father of Elrond and the ancestor of Aragorn. The star glass which Galadriel gives Frodo contains some of the light from the Silmaril on Eärendil's forehead; and when Frodo cries out "Aiya Eärendil Elenion Ancalima!" he is indirectly quoting the old English couplet which kicked off Tolkien's whole creative process. But here is the thing. Tolkien never wrote the story of Eärendil, or even attempted it. The long poem which Bilbo recites in the Fellowship of the Ring is about as close as we get to it. I suppose Tollers couldn't embark on the final story on which all others depended until the rest of the history and the languages were completed to his satisfaction: and he was never satisfied with anything. I think that this fundamental interconnectivity is probably the most important part of Tolkien's literary achievement. If we can hold all these stories in our head they form a single immense pattern. Elrond tells Gandalf that the swords which Bilbo and the dwarves found in the trolls' lair were forged in Gondolin. Gandalf's sword Glamdring may have been wielded by Turgon himself. If you can get right through the Silmarillion there is a wonderful sense of seeing history laid out before you: Gondolin is a great city that will be built at some point in the future; then it is the Hidden City that few people know about; then it is the fallen city that is remembered only in legend. Doubtless everything is connected to everything else in real life as well. But real life is too vast and too complex and too arbitrary for us to grasp. Tolkien's made-up mythology and his made up history (and, I very much suspect, his made up grammar) is more shapely and balanced and pleasing than real history, mythology and grammar ever manage to be. In his creation story, the gods first perceive the shape of history, from the outside, as a single artistic whole—specifically a symphony—and then enter into the world and experience it sequentially as a series of events. But here's the other thing. The romance of Beren and Luthien, and the tragedy of Turin stand up pretty well as heroic sagas in their own right. The story of Gondolin really doesn't. It's a pivotal moment in Tolkien's symphony, and we Tolkien-heads want to know about it, but it isn't particularly interesting out of context. And, inevitably, Tolkien never finished the story. The ardour of Glorfindel drove that Balrog from point to point, and his mail fended him from its whip and claw. Now had he beaten a heavy swinge upon its iron helm, now hewn off the creature’s whip-arm at the elbow. Then sprang the Balrog in the torment of his pain and fear full at Glorfindel, who stabbed like a dart of a snake; but he found only a shoulder, and was grappled, and they swayed to a fall upon the crag-top. Then Glorfindel’s left hand sought a dirk, and this he thrust up that it pierced the Balrog’s belly nigh his own face (for that demon was double his stature); and it shrieked, and fell backward from the rock, and falling clutched Glorfindel’s yellow locks beneath his cap, and those twain fell into the abyss. Along that narrow way their march was strung, when they were ambushed by Orcs, for Morgoth had set watchers all about the encircling hills; and a Balrog was with them. Then dreadful was their plight, and hardly would they have been saved by the valour of yellow-haired Glorfindel, chief of the House of the Golden Flower of Gondolin, had not Thorondor come timely to their aid. Many are the songs that have been sung of the duel of Glorfindel with the Balrog upon a pinnacle of rock in that high place; and both fell to ruin in the abyss. Along that narrow way their march was strung when it was ambushed by an outpost of Morgoth’s power; and a Balrog was their leader. Then dreadful was their plight, and hardly would it have been saved by the deathless valour of yellow-haired Glorfindel, chief of the House of the Golden Flower of Gondolin, had not Thorondor come timely to their aid. Songs have been sung of the duel of Glorfindel with the Balrog upon a pinnacle of rock in that high place; and both fell to ruin in the abyss. Quenta Noldorinwa was, indeed, intended to be a synopsis of Tolkien's mythology. 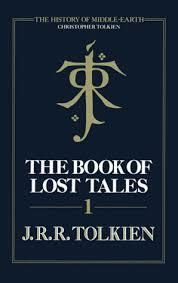 He did, in fact, write a much more expansive version in 1937, after the Hobbit but before Lord of the Rings. This was called Quenta Silmarillion, the history of the Silmarils, and it's where most of the book-we-now-call-the-Silmarillion comes from. The story of the fall of Gondolin in the 1977 Silmarillion runs to barely ten pages, where the story of Beren and Luthien run to over fifty. Why do Christopher and Guy run with this rather cursory version? Simply because Tolkien (of course) never got to the end of Quenta Silmarillion: the Gondolin tale is not in it. The very primitive and very archaic Lost Tales version and the very brief Quenta Noldorinwa summary was all they had to work with. Tolkien did embark on a full dress novelistic retelling of the story in the early 1950s (post Lord of the Rings) but he gives up shortly after Tuor arrives in the city. The fragment runs to some 40 pages so the full version would have been vast. When Christopher Tolkien published the fragment as part of the Unfinished Tales, he named it "Of Tuor and His Coming to Gondolin". I loyally ploughed through it when it came out in 1980, but I am afraid my reaction was "Of Whom And His Coming To Where?" So: what is the point of the present volume? The 1917 version of the story has already been published in the Book of Lost Tales and the long 1954 version in the Unfinished Tales. I suppose these books aren't that east to come by—the History of Middle Earth is only gettable at in relatively expensive print on demand editions—and printing the same material twice in thirty years is hardly saturating the market. The justification for the Children of Hurin (2007) and Beren and Luthien (2017) was that they made worthwhile literary texts available to the general reader, substantially stripped of their critical apparatus. Many people might want to know more of the story which Aragorn told Frodo and Sam on Weathertop without caring a great deal about how Tolkien's various notebooks are related. Towards the end of the Quenta my father expanded and retyped portions of the text (while preserving the discarded pages); the text as it stood before this rewriting I will call ‘Q I’. Near the end of the narrative Q I gives out, and only the rewritten version (‘Q II’) continues to the end. It seems clear from this that the rewriting (which concerns Gondolin and its destruction) belongs to the same time, and I have given the Q II text throughout, from the point where the tale of Gondolin begins. The name of the King of Eagles, Thorndor, was changed throughout the text to Thorondor. In 2003, in his important Tolkien and the Great War, journalist-historian John Garth made a substantial attempt to rehabilitate the original Lost Tales Fall of Gondolin as a work of literature in its own right: not as a back story to Lord of the Rings, not as a first draft of the Silmarillion, but as a bona fide war poem. Christopher just doesn't think in that way: he is a textual critic. The relationships between the texts is all he is interested in. It is a Gordian knot; a riddle which cant be solved. The facts are the facts. Tolkien's mythos exists, frozen at different points in time, in different contradictory manuscripts. What most serious but non-scholarly Tolkien fans want is the story of Middle-earth; the tale of the Fall of Gondolin, fixed and final. Christopher is being honest in telling us that we can never have that. If you have read Lord of the Rings and want to know the mythos, then read the Silmarillion and worry not about its textual sources. 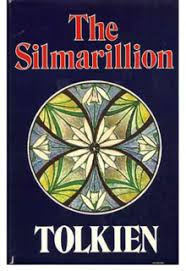 If you have read the Silmarillion and want to know about the tangles of texts Tolkien actually left, then by all means ask Mr Unwin to print you out a p.o.d History of Middle Earth (a snip at five hundred quid for the twelve volume set). But it is not clear to me which middle group this book is intended for. If you enjoyed this, please join my Patreon. I wrote a book about Tolkien, and everything. Thank you for this analysis. Sad, but worth knowing. I guess there are only so many novels that can be wrung out of the notes of a man who has been dead for 45 years, by a son who is himself now 94 years old. We're near the end of the road.